07 nights at wide range of 3, 4 or 5 star hotels to meet your demand. 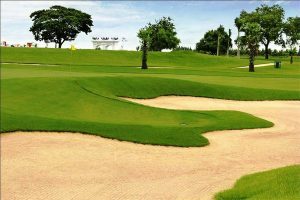 02 rounds of golf in Siem Reap, 02 rounds in Phnom Penh. 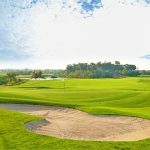 All VIP transfers (Airport pick ups, golfing and sightseeing). 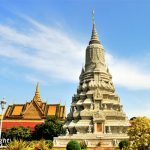 Visit highlights of Siem Reap and Phnom Penh. 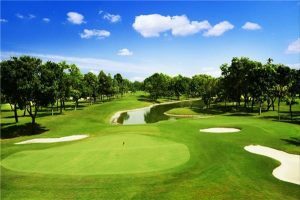 Siem Reap – Phnom Penh golf package in 8 days. 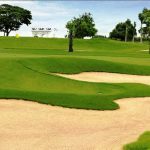 As one of the fastest growing country in Southeast Asia, Cambodia has also been participating in the golfing race with its neighbors. 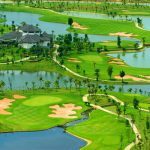 Despite being new and young, golf in Cambodia confidently offers world-class courses along with high quality services that can meet all kinds of demand. Upon your arrival at Angkor International Airport, we will pick you up and transfer to hotel at your request for checking in and relaxation. 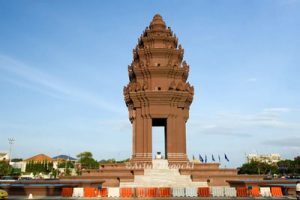 Stay at leisure and overnight in Siem Reap. After breakfast, let’s head to Siem Reap Booyoung Country Club and experience the best golfing time in Cambodia. 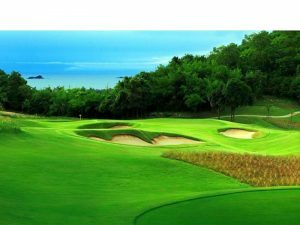 Designed by Kentaro Sato, Siem Reap Booyoung Country Club is proudly ranked as the best golf course in Cambodia in 2016 at World Golf Award. 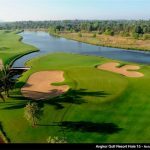 It is conveniently located just 35 minutes only from Siem Reap International Airport and 25 minutes from Siem Reap City Center. In the late afternoon, you will be transferred back to hotel. 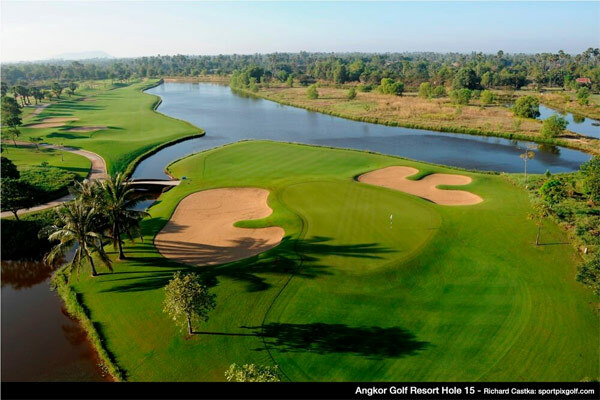 For the 2nd tee time in Siem Reap, work your way West on the next day and play golf at Angkor Golf Resort. 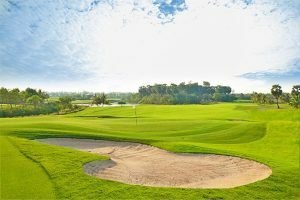 Designed by European legend, Nick Faldo, this world class golf course in the Kingdom of Wonders provides all level of golfers a challenging and fair test of golf. 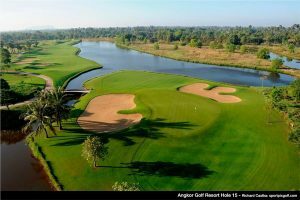 Angkor Golf Resort is conveniently located only 10 minutes away from Siem Reap city center, Angkor Wat and the airport. In the late afternoon, you will be transferred back to hotel. A 60-min spa service is already prepared to take care of your worn out body. 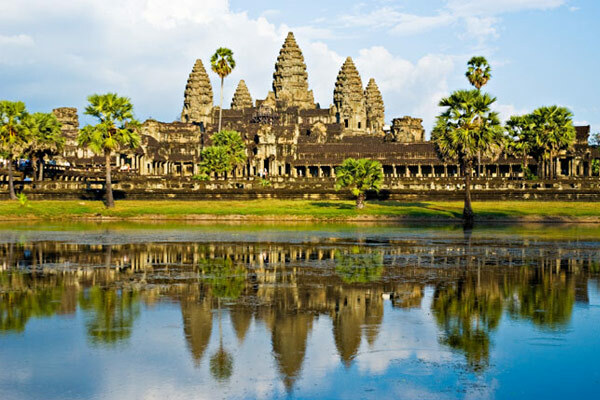 Say goodbye to Siem Reap by a day of exploring its beauty. 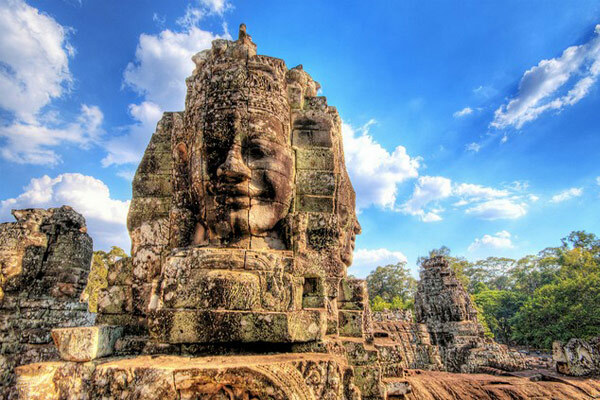 After breakfast you’ll head out with your guide to Angkor Thom, an ancient capital of the Khmer empire. 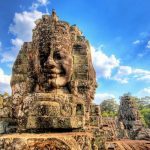 Starting at the south gate you’ll explore the complex, visiting the central Bayon temple, the 3-tiered Hindu Baphoun temple, and the Terrace of the Elephants, which is part of the walled city. Continue the tour with a stop at the Ta Prohm jungle temple, built by King Jayavarman VII in 1186. You may recognize the temple and the jungle that has engulfed it from the Hollywood movie Tomb Raider. Stop for lunch at a local restaurant before visiting the iconic Angkor Wat, a UNESCO World Heritage Site. 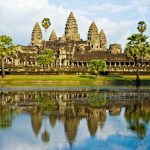 Angkor Wat was built in the 12th century by King Suryavarman II, and dedicated to the Hindu god Vishnu. This is the largest religious monument in the world, and well worth taking a tour of. In the afternoon, flight to Phnom Penh. Then, check in the hotel and stay at leisure in the city. Grand Phnom Penh Golf Club presents a brilliantly designed, international standard Nicklaus Design 18-hole golf course where at every hole you are constantly challenged to play and enjoy the game of golf at its very best. 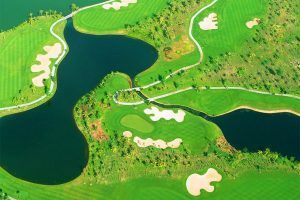 The course also offers a lake style driving range, putting and chipping areas and well trained caddies to help you sharpen your skills. 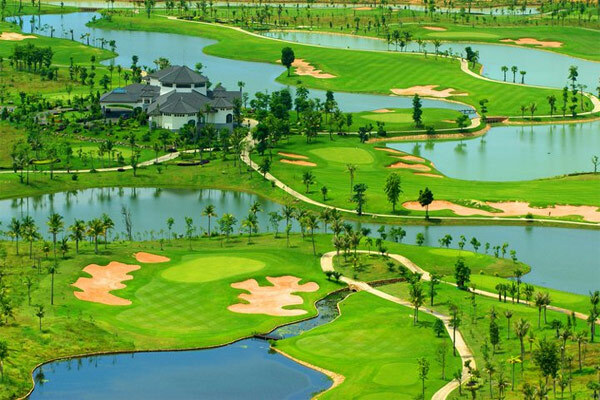 Garden City Golf Club provides the ultimate golfing experience with a masterpiece par 72, 18th hole golf course, spreading over 240 acres that located just 15 kilometers northeast of downtown Phnom Penh. 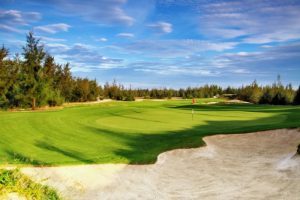 The club also associates with IMG Consulting, one of the world’s leading golf course management companies to deliver the finest golf service and standards to golfers. 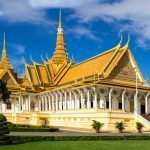 It’s such a mistake to visit Phnom Penh but not spend time learning about the city’s ups and downs. 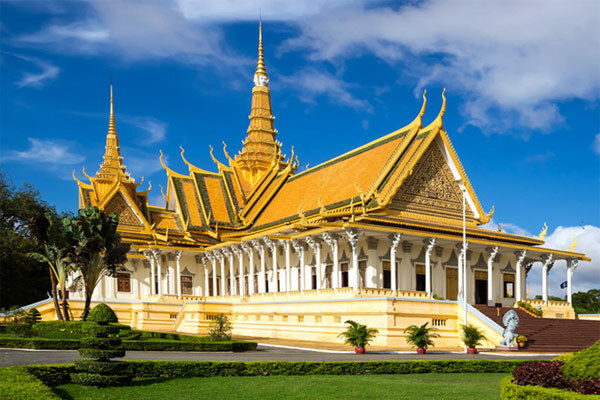 A short trip to the Royal Palace and Silver Pagoda will help you gain more knowledge about Cambodia’s beautiful culture and architecture, while Choeung Ek and Tuol Sleng Genocide Museum will remind you of the darkest time in the country’s history covered by the shadow of Pol Pot. All these above attractions are worth a go in their own ways. 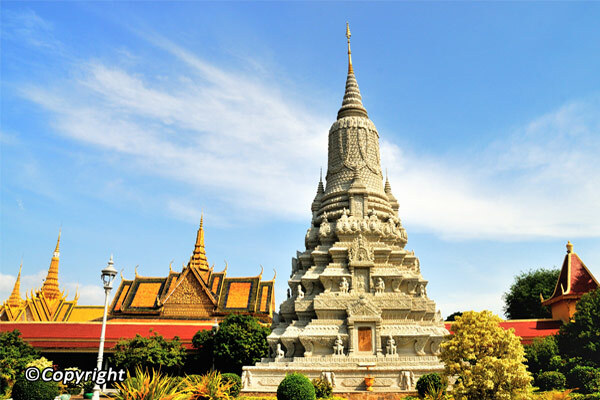 On the last day, you can freely arrange your itinerary. 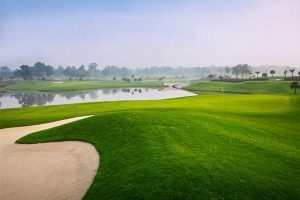 You can choose to play one more round of golf or continue exploring the city. Our tour guide and driver are always ready. See off at the airport. End of services.